[Charles Ball, Scottish boxer and 'The most Experienced and Skilful Teacher of Boxing and Indian Clubs in Scotland'.] 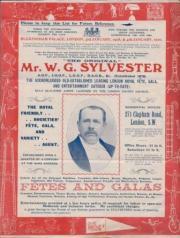 Publicity leaflet, with account of his career, testimonials, press opinions and image of Ball in his 'Indian Club Entertainment'. St James' Royal School of Arms, 28 St James' Square, Edinburgh. Undated (circa 1893). 4pp, 4to. Bifolium, printed in brown on cream paper. In fair condition, on aged and worn paper, folded twice. 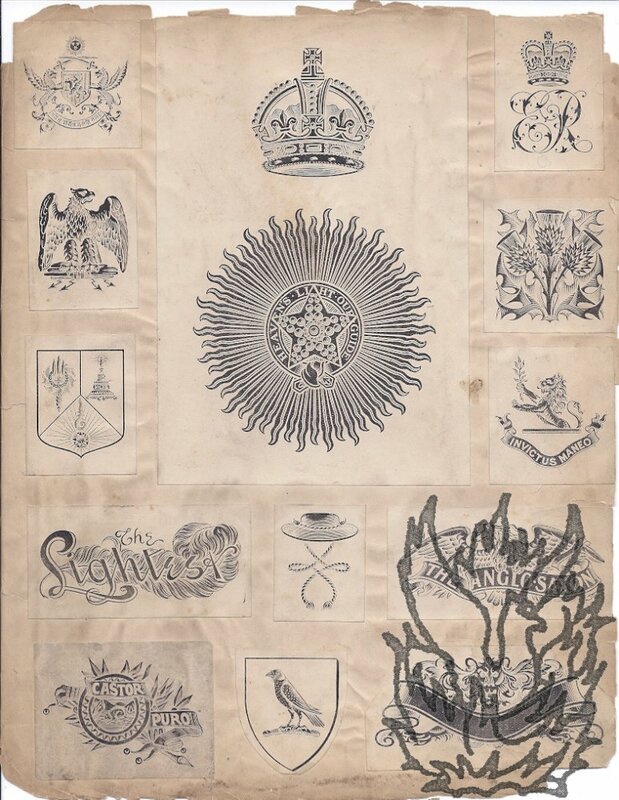 The first page is headed, beneath the royal crest, 'St James' Royal School of Arms, | 23 ST JAMES' SQUARE, EDINBURGH, | Professor Chas. Ball, | Master of the Art of Self-Defence, | “The most Experienced and Skilful Teacher of Boxing and Indian Clubs in Scotland.” - Vide Press. | Fifteen years Tutor in the University Gymnasium, Edinburgh; Tutor in Fettes College; | and formerly Tutor in the Gymnastic Academy, Greenock, etc.' An elegant production in late-Victorian typographic style. [ John Debrett, London publisher. ] Printed catalogue of 'Books printed for J. Debrett'. J. Debrett [ John Debrett, 178 Piccadilly, London ]. Undated [ 1794 ]. 8pp., 8vo. Unstitched (stabbed). Unopened, so that the four leaves unfold into a single strip with four pages on each side. In good condition, lightly aged and worn. First page headed 'BOOKS Printed for J. DEBRETT.' Numerous works are described in no particular order, in small print, beginning with 'PARLIAMENTARY REGISTER, 1794. | This day is published, | NUMBER XII. of the DEBATES of the PRESENT SESSION, [...]'. For more information on Debrett, see his entry in the Oxford Dictionary of National Biography. BBTI states that he was active before 1781, and went bankrupt in 1804. [ The United Kingdom Tea Company, London. ] Two large advertisements, printed on Japanese tissue paper. Japanese Tea Company, 21, Mincing Lane, London. Undated [ 1890s ]. The two advertisements are variants of one another, with much the same text in two columns of small type, surrounded by a decorative border with oriental influence (featuring flamingo, vase, bamboo). Both printed in black ink on one side of a 33 x 26cm piece of tissue. They are frail and unusual survivals: aged and creased with wear and slight loss to the extremities. Both are headed 'UNITED KINGDOM TEA COMPANY | SUPPLY THE FINEST TEA IN THE WORLD | FIRST HAND, DIRECT FROM THE MINCING LANE MARKET.' One is headed, in fancy type: 'THIS PAPER IS MADE IN JAPAN & IS A CURIOSITY'. [ Advertising booklet of recipes in French and English, with endorsements by 35 chefs. ] Pour apprécier la vraie saveur des champignon utilisez le: "Royal Champignon" Paris-Pantin. Quelques Recettes par J. Bigeon. 30pp., 16mo. Stapled pamphlet in printed illustrated wraps. Aged, worn and creased, in stained and damaged wraps. Bigeon's introduction begins: 'The difficulties often met with to obtain at any time freshly gathered mushrooms, have induced me to prepare, in the very places of production, mushrooms dressed under various formulas, for which I add a few appropriated [sic] notes.' There are eight pages, in French, of 'Attestations des Chefs les plus réputés dans l'Art cullinaire', beginning with 'T. GIROD. | Chef des Cuisines Café de Paris | Paris' and ending with 'P. [ The Musical Standard, Fleet Street. ] File copies of eleven issues, containing around 175 items of original correspondence and other matter relating to advertising, and marked up by advertising manager Harry Lavender. The Musical Standard, 185 Fleet Street, London, E.C. The eleven issues dating from between 21 April 1888 and 21 March 1891. Incoming correspondence from various addresses in Britain. For more information about the periodical, see the entry in Brake and Demoor's 'Dictionary of Nineteenth Century Journalism in Great Britain and Ireland' (2009), which stresses the its independence: 'the Musical Standard was rare among nineteenth-century music journals in that it was not produced by a music publisher or other music issuing body'. The present item consists of around 175 items laid down in file copies of eleven issues, four of them from 1888: 21 April, 26 May and 16 and 30 June; and seven from 1891: 3 January, and 7, 14, 21, 28 February, and 7 and 21 March. [ 'The Comrade, The Official Organ of the Comrades of the Great War for Liverpool and West Lancashire'.] Manuscript design for 'Cheque-Voucher', exchangeable for goods valued ten shillings from 'Any Advertiser in "The Comrade" in 1919'. F. Bulkeley Hughes, Editor, 'The Comrade, The Official Organ of the Comrades of the Great War for Liverpool and West Lancashire'. On one side of a piece of 10 x 20 cm paper. In fair condition, lightly aged, with a little water spotting. An attractive item, laid out like a traditional cheque, with lower panel coloured in pink. Box to left reads: 'The Comrade | The Official Organ of The Comrades of the Great War | for Liverpool and West Lancashire | Published Monthly at 35 Church Street Liverpool. | Subscription Rate 5/- a year, post free | Single copies <?> | Advertising Rates on application | F. Bulkeley Hughes, Editor.' The cheque proper reads: 'No. A1000 Liverpool - 19 | To Any Advertiser in "The Comrade" in 1919. [Ornate engraved advertisement for 'James Salmon Cambridge Carrier, Sets out from the Green Dragon Inn Bishopsgate Street London [...]'. 12.5 x 16 cm. Irregularly-cut and laid down on paper backing. Lightly-aged and worn. Slight loss to extremities. Crisply printed, with characteristic eighteenth-century engraved border of floral and architectural details. Text reads: 'James Salmon | Cambridge Carrier, | Sets out from the Green Dragon Inn Bishopsgate street | London | evry [sic] Wednesday, Thursday, & Friday, in ye. Forenoon, & carry Goods as usual For | [list of places in four columns] Cambridge Ely Lynn Wisbeach Holbeach March Downham Dereham Watton Fakenham Swaffham Walsingham | And all other adjacent Places. Chas. Thurnam & Sons, The Library, 11 English Street, Carlisle, Cumbria. Between 1912 and 1928. Around 190 items, fifteen of them loosely inserted. (The firm was already a century old at the time this material was assembled, boasting that it was 'established the year after Waterloo', 1816.) Contained within a sturdy album of grey paper (dimensions 48.5 x 33.5 cm. ), stitched with string into covers with brown cloth spine. Label on front cover: 'ADVERTISEMENT FILE. | CHAS. THURNAM & SONS.' In manuscript on label: 'OLD MATTER | NOT TO BE DESTROYED'. 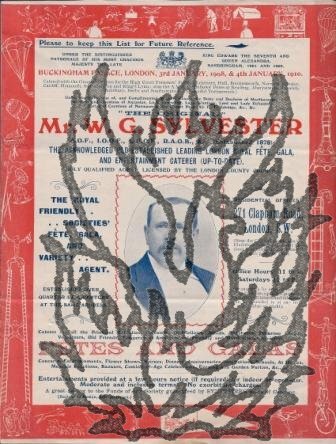 [Methuen & Co., London publishers.] Sixteen printed publishers' advertisements, including lists of 'Messrs. Methuen's New Books', and handbills for Jack London's 'White Fang', and works by Robert Hichens, Arnold Bennett and others. Methuen & Co. Ltd, 36 Essex Street, London WC2. Dated items between Spring 1907 and Autumn 1939. The collection of sixteen items is in good overall condition, on aged and worn paper. Includes: two lists of 'Messrs. Methuen's Sixpenny Books', one of them dated to 1908; lists for 1912, 1915, 1924 (two), 1934 (two: novels and 'new books'), 1939 (two: one in red of novels, and the other in blue of non-fiction). Also advertisements for: 'The Illustrated Pocket Library of Plain and Coloured Books'; 'The Heather Moon' by C. N. and A. M.
[Methuen & Co., London publishers.] Eight in-house publicity items and a trade catalogue, comprising: two issues of the firm's 'Book Gazette & Notes on Books'; six issues of its 'Monthly Bulletin'; and 'A Complete and Illustrated Catalogue of Books'. 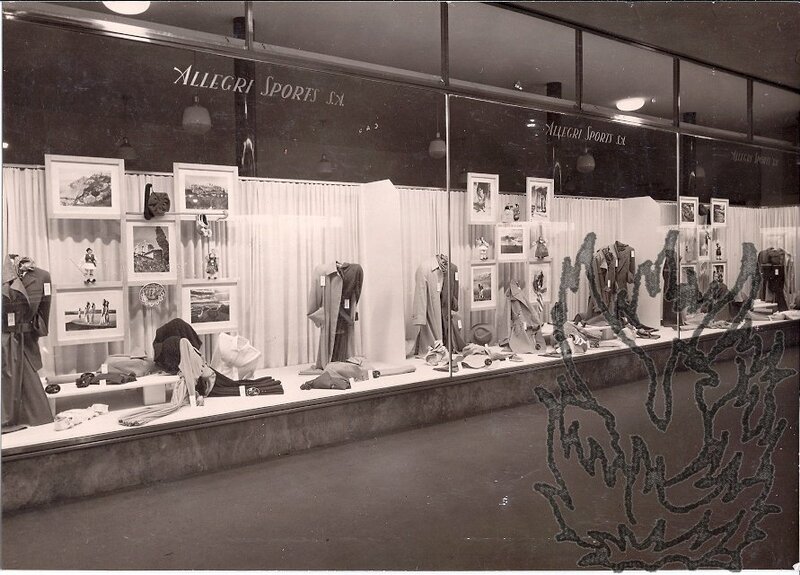 All items from Methuen & Co., 36 Essex Street, London, WC. The two copies of the 'Book Gazette' from October 1896 and September 1901. The six copies of the 'Monthly Bulletin' between July 1904 and April-May-June 1910. The 'Catalogue', January 1929. The collection in fair condition, on aged and worn paper. The catalogue stitched and in wraps; the other eight items with rusted staples, and unbound. Items One and Two: Copies of the 'Book Gazette' (both 32pp., small 4to), numbered 8 (October 1896) and 16 (September 1901), and containing Announcements, Literary Notes, and extracts from publications. Items Three to Eight: Six copies of 'Methuen's Monthly Bulletin'. All 8vo, and ranging in length from 20 to 32pp. The earliest of the six (July 1904) with announcement on front cover: 'Messrs. [William E. Cary, Red Bank Spring and Axle Works.] Printed Edwardian flier with engravings of 'Rein Rails' and 'Rein Holders', together with Typed Letter ('Dict'd by J. W. C.') to Messrs Massey and Raggatt, Penarth, receipt, and printed envelope. William E. Cary, Red Bank Spring and Axle Works, and Iron and Steel Warehouses, Red Bank and Adeline St., Manchester. Letter and receipt dated 1904, other two items of the same date. All four items in fair condition, on aged and worn paper. LETTER: 1p., 4to. 13 June 1904. On the firm's printed letterhead, with 6 x 8.5 cm engraving at head of the firm's premises ('cover an area of 1 1/2 acres'), surrounded by text at head and along length of left-hand margin. The typed letter concerns the opening of an account: 'It is usual to open a/cs on monthly terms for new a/cs, but I will make an exception in your case, [...] but you must not take more than 2 or 3 months credit at the outside.' RECEIPT: Signed receipt for 4s 6d. On small stub with the firm's printed details. [Printed advertising pamphlet.] What some famous Men say about "The Century". Printed on the rectos only of 27 16mo (17 x 10.5 cm) leaves, attached to one another by a metal stud in the top left-hand corner. On aged and creased high-acidity paper, with the first three leaves detached. Each leaf carries a transcript of a letter of endorsement from a different individual or group, each with a facsimile signature. The writers are 'The Editor and Proprietors of the "Sheffield Telegraph"'; Sir Michael Hicks Beach, MP; W. E. H. Lecky, MP; Lord Goschen; Viscount Wolseley; Dean Farrar; Sir James Crichton Browne; Sir J. [Aghabab Advertising & Publicity Bureau, Baghdad, Iraq.] Duplicated translation of letter of introduction from Staff Brigadier Muhsen Mohamed Ali, Acting Director General of Guidance & Broadcasting, Iraq, for G. W. Wynne-Rushton, Advertising Manager. Baghdad, Iraq, 11 February 1958. Two items, in good condition. ONE: Duplicated typescript (1p., 8vo) headed 'TRANSLATION | MINISTRY OF INTERIOR. | DIRECTORATE GENERAL OF UIDANCE [sic] AND BROADCASTING'. Dated from 'Baghdad (Iraq)' on 11 February 1958. A letter of introduction for 'Mr. G. Wynne-Rushton', to five government ministries from 'Staff Brigadier Muhsen Mohamed Ali, Acting Director General of Guidance & Broadcasting'. Begins: 'Mr. G. Wynne-Rushton, who is now staying in Baghdad, is the Advertising Manager of Messrs.
With the oval blind stamp in one corner of Brown Gould & Co., 470 Oxford Street, W.C., London. '5.69', i.e. May 1869. 4pp., 4to. Bifolium on wove paper. Good, on lightly aged and worn paper. 114 newspapers are listed, each with the 'Day Published', from 'Ayrshire Express | Saturday' to 'Yarmouth Independent | Saturday.' One title is added in manuscript, at the foot of the first page: 'Nottingham & Midland Counties Daily Express.' At the foot of the last page: 'Intimations of Alterations and Additions will from time to time be given. | 5.69.' Scarce: no copies on COPAC or OCLC WorldCat. Autographh Letter Signed from the illustrator Will Owen, thanking T. Hellier Denselow for saying 'nice things' about his work, which he himself likes 'occasionally - not often'. 4 Richmond Avenue, Richmond, Surrey. 7 July 1901. 1p., 12mo. Good, on lightly-aged paper. The letter is addressed to 'T. Hellier Denselow Esq. ', but the accompanying envelope (with stamp and postmark) is addressed by him to 'D. [sic] Hellier Denselow Esqre | 137 Hurlingham Road | London S.W.' Owen thanks Denselow 'for all the nice things in your letter', adding that he is 'glad you like the sketches. I do myself occasionally - not often.' Denselow would himself appear to have been a commercial artist, with a studio in Gunnersbury Lane in west London. Four Mimeographed Typed Chapters of 'C. D. N.'s American Diary', an account by Charles D. Notley of Notley Advertising Limited, of a trip to Canada and the United States, with accounts of meetings with Moholy Nagy, John Russell Powers and others. Canada (Edmonton, Calgary, Banff, Vancouver, Victoria) and the United States of America (Chicago, Troy, Seattle, New York). Covering the period 26 October to 27 November 1946. The four items total 21pp., foolscap 8vo, on 21 leaves. In good condition, on lightly-aged paper. Comprising the four final chapters of Notley's account, each separately stapled and paginated: Chapter IV (26 October to 4 November), 6pp. ; Chapter V (4 to 9 November), 4pp. ; Chapter VI (9 to 17 November), 4pp. ; Chapter VII (18 to 27 November), 7pp. For more information on Notley, see the appreciative obituary in The Times, 3 September 1962, and the letter by 'C. F. T.' in the same newspaper two days later. Typed Letter Signed ('Handley Dunelm') from Handley Carr Glyn Moule, Bishop of Durham, to Sir Michael Sadler, Vice-Chancellor, University of Leeds, regarding the use of his name by the disreputable publicist Sydney Walton, for his 'Bible Crusade'. 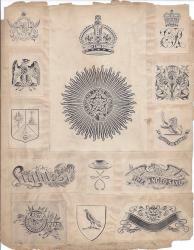 On letterhead of Auckland Castle, Bishop Auckland. 10 November 1915. 1p., 4to. With mourning border. In good condition, on lightly-aged paper with minor wear at the beginning of one crease. Moule writes that he is 'quite prepared to receive and of course to attend to any communication from Mr. Sydney Walton', but that he must 'distinctly decline responsibility in detail [last three words underlined] for the work of the Bible Crusade'. He 'willingly expressed' his 'cordial personal sympathy with its aims when its founder [i.e. Liberty & Co. London & Paris. 1914. 28pp., 8vo. Letterpress printed in green and brown on thick grey paper; plates in full colour. Unbound and without stitching, leaving the seven bifoliums of the pamphlet loose. Worn and aged, but with plates in good condition (two with slight dogearing to one corner). A pencil note states that the illustrations are by Evelyn Paul, from 'Stories of Indian Gods and Heroes' (W. D. Monroe, 1911). Scarce: no copy on COPAC. 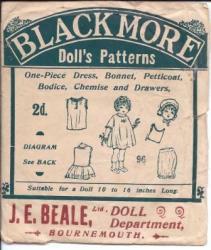 5 items: J. E. Beale 'Blackmore Doll's Pattern'; 'Dolls And How To Make Them' by Winifred M. Ackroyd; two different copies of 'A Dolls' House Designed and Built by the late Mr. T. Batty of Drighlington, Near Bradford', June 1985 Sasha Dolls booklet. Pattern from the 1920s? Ackroyd's book from the 1930s? The Batty book from 1948? Sasha catalogue June 1985. All items in good condition, on aged paper. 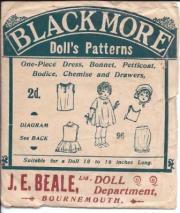 ITEM ONE: 'Blackmore Doll's Patterns | One-Piece Dress, Bonnet, Petticoat, Bodice, Chemise and Drawers.' By J. E. Beale, Ltd. Doll Department, Bournemouth. [1920s]. Pattern in pieces of brown paper, in envelope printed with instructions and illustrations. 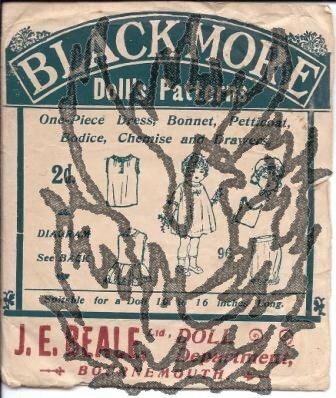 The envelope also contains an illustrated advertisement for the Blackmore catalogue, on blue paper. ITEM TWO: 'Dolls And How To Make Them' by Winifred M. Ackroyd. At foot of title-page: 'To my fellow workers of the W.V.S. (Girlington Hospital Supplies Depot). Printed Victorian advertising handbill for 'Dispensing Chymist' Keith Longstaff of Fulham Road, London. 12mo, 2 pp. Aged, and with a small hole worn into the centre, without, however, any loss of text. With one side of the leaf printed in double column in the style of an eighteenth-century newspaper, and headed 'Quaint Newspaper Cuttings A.D. 1738. | Ye Fulhame Presse London. S.W.' The other side is laid out to be folded twice, making four small pages (one having 'Not to be cut.' at the foot). One of the four carries an advertisement for Longstaff, with an engraving of his sign, 'Ye stille'. Another puffs 'Keith Longstaff's Autumn Medicine'. In excess of 500 original engravings, from the professional collection of the draughtsman Arthur F. E. Poley, and mainly done from his detailed illustrations, for advertising and other purposes, including armorial, natural history and other topics. Undated, but all English, and from the early part of the twentieth century, and mainly the 1920s. Poley was awarded the Royal Institute of British Architects Silver Medal for the 'Measured Drawings' which formed the basis of his book on St Paul's Cathedral in London, and his work is notable for its attention to detail. This collection (with very few exceptions his own work) gives a splendid indication of the nature and range of English commercial engraved illustration at the beginning of the twentieth-century. Around 150 loose 'pulls', varying in size from 18.5 x 14.5 cm to 4 x 6 cm. 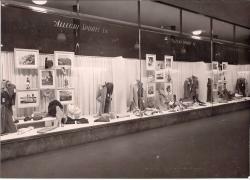 Including trade marks (The Cork Hat Company; Cook's World Travel Service; The Swifan; A. C.
[Photographs] Window Displays arranged by FCB [Foote Cone and Belding Ltd, public relations company] on behalf of the National Tourist Organisation of Greece [c.1951]. With Report. Folder of mimeographed typed advertising and promotional reports and memoranda assembled by the firm's London office on behalf of the Watchmakers of Switzerland. All items clear and complete, in a brown card folder, and in good condition on lightly-aged paper, with occasional rust marking. Items are often accompanied by covering letters from members of the agency. Includes, among other items: 'Outline Proposals for Action in the British Market', August 1949 (8vo, 9 pp); 'The British Watch Market', August 1949 (8vo, 19 pp); 'Jewelry News Digest Number 19 | For The Swiss Federation of Watch Manufacturers', November 1949 (8vo, 13 pp); 'Swiss Watch Repair Parts Programme' (8vo, 19 pp); 'Report of F. H. Publicity Montreal Office | Jan. 30th to Feb.